Classic favorites get a modern Latino twist. Classic Mother Goose rhymes get a Latino twist in this cozy collection. From young Juan Ramón sitting in el rincón to the three little gatitos who lost their mitoncitos, readers will be delighted to see familiar characters in vibrant, luminous scenes brimming with fanciful details. “Twinkle, Twinkle, Small Estrella,” “El Gato and the Fiddle,” and other nursery rhymes get the Spanglish treatment in this book destined to become a classic. 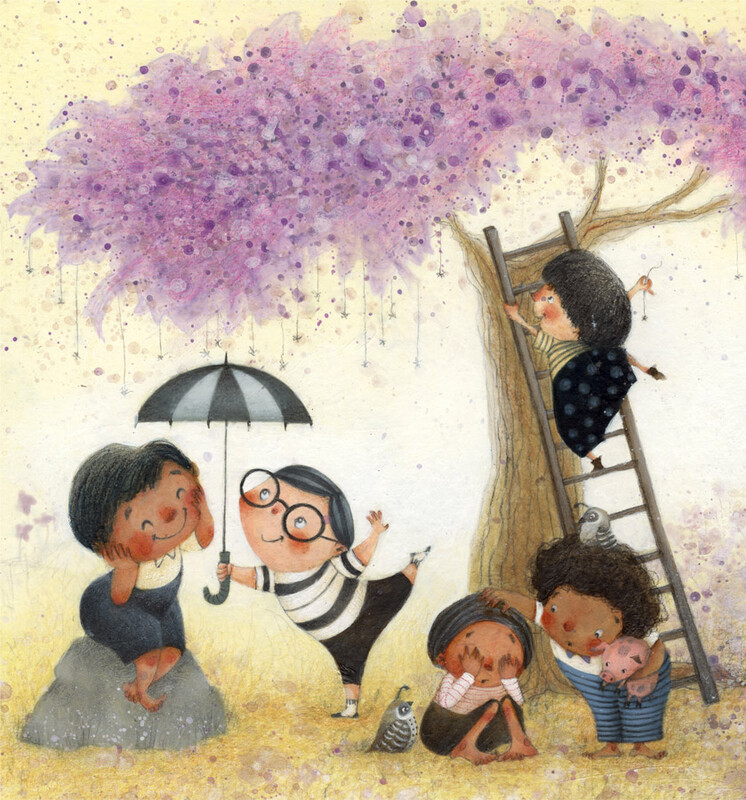 Soft-edged, softly colored illustrations by Juana Martinez-Neal give this picture book a cozy feel, while a two-page glossary at the start should clarify any translation muddles for readers ages 4-7. Toddler-PreS—A playful collection that interweaves Spanish words into classic Mother Goose rhymes in English. 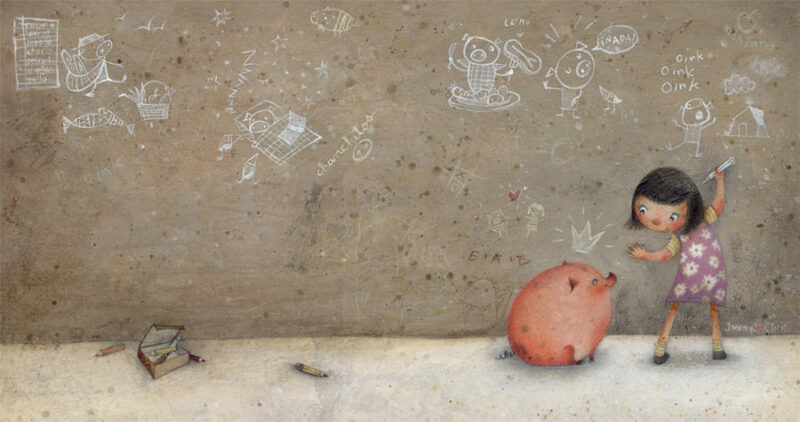 With everything from “María Had a Little Oveja” to “Twinkle Twinkle Small Estrella,” Elya presents the familiar rhymes with a twist, following her usual formula of interlingual rhyming text. The Spanish words are presented in bold and italics, and the sentence construction follows an unnatural form of code-switching that doesn’t speak to the authenticity of bilingual and Spanish-speaking readers. The book’s forte is Martinez-Neal’s soft and delightful illustrations, which capture the sweetness and warmth of the tales. 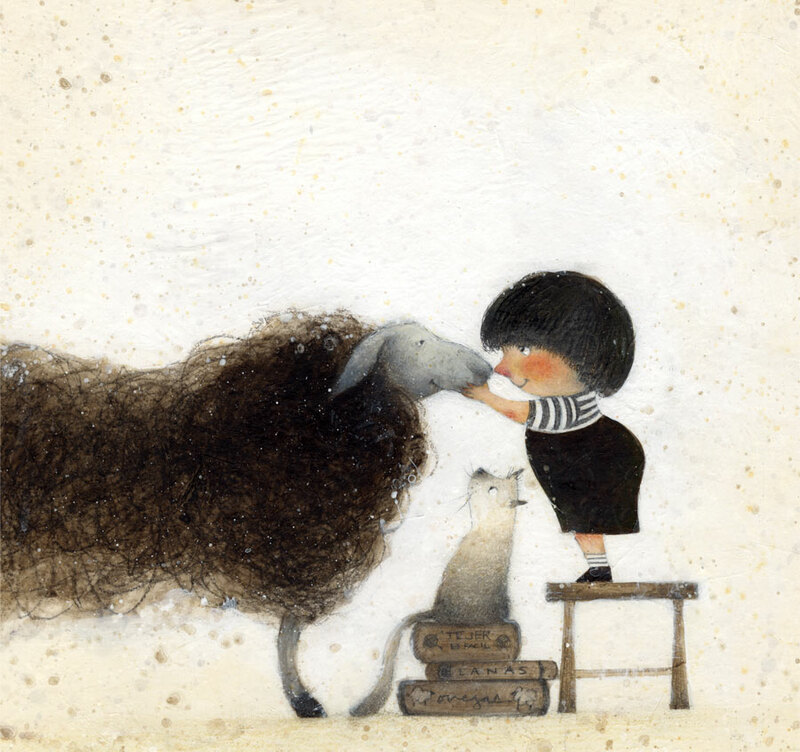 Using a variation of single pages and spreads, the illustrator makes the most of each page to enhance the visual experience of children by adding playful characters, Spanish words, and friendly animals. A glossary is appended, which includes the Spanish words used, their pronunciation, and their meaning in English, with the goal of introducing English speakers to Spanish words that are not traditionally used in interlingual picture books. Martinez-Neal’s sunny, soft-edged art, rendered in acrylics, colored pencils and graphite on textured paper, is buoyant and fresh. Child figures in varying skin tones gleefully cavort with cuddly critters across cheerful backdrops, and although they are clearly modern, their slightly stylized appearance (widely spaced eyes, snub noses, rosy cheeks) gives them a look reminiscent of Gyo Fujikawa’s classic illustrations. 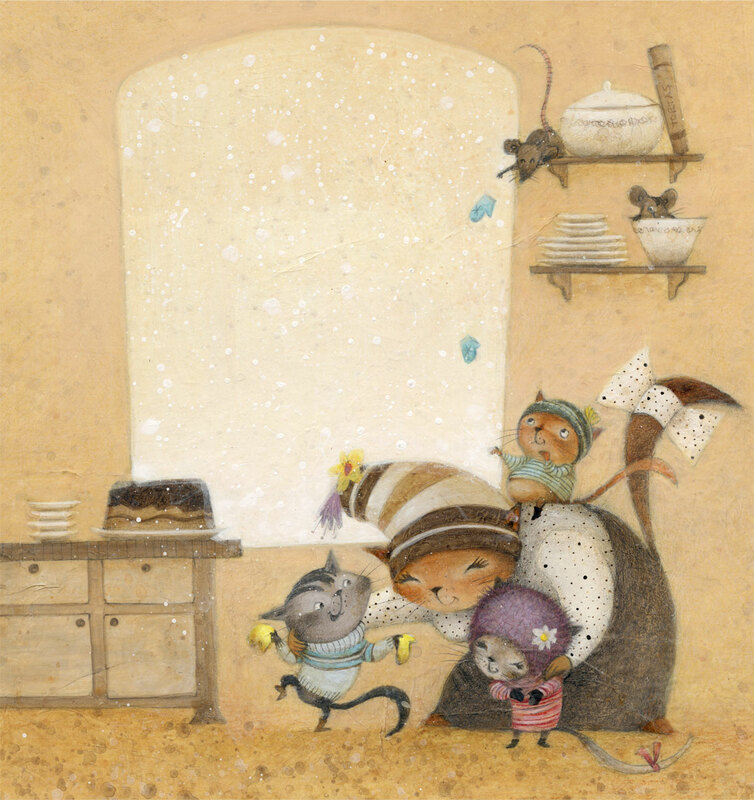 Rendered in acrylics, colored pencils and graphite on handmade textured paper the exquisite illustrations by Juana Martinez-Neal, covering either a single page or two, are brimming with warmth and merriment. Readers will pause at each page turn to enjoy her fine-lined tender details. The facial expression on all the characters will have you wanting to reach out and hug them all. Her visuals extend the rhyme. 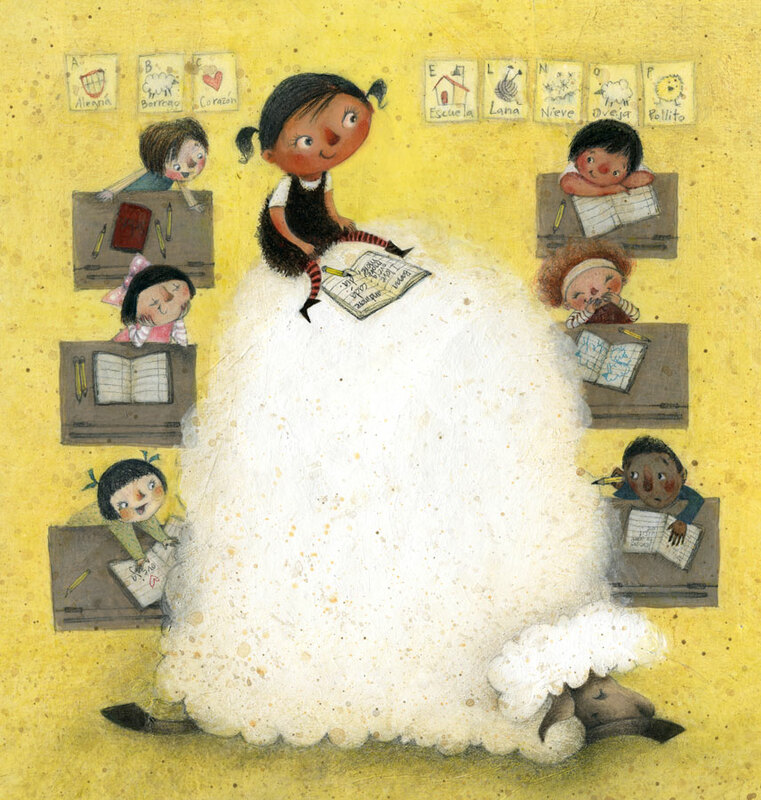 Martinez-Neal’s illustrations (made with acrylics, colored pencils, and graphite) abound with multiethnic children sporting the requisite chubby-cheeked features of the toddler set, and the artist’s animals are of the obligatory fuzzy and frolicking kind seen festooning preschool classrooms.